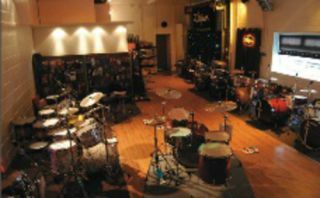 The Lincoln Drum Centre has been confirmed as host of a Yamaha Demonstration Day, meaning you can spend your weekend checking out all manner of drum goodies and gear. Yamaha's new DTX950K electronic kit, the Rock Tour acoustic kit and the DTXMulti 12 electronic drum pad are among the gear that will be on show at the shop on Sunday 18 July. Yamaha expert Simon Edgoose will be on hand to demonstrate all of the gear during the day. The fun kicks off at 11AM and is absolutely free to enter, with demonstrations on throughout the day and discounts available on Yamaha products. All in all, it sounds to us like a pretty cool way to spend a Sunday afternoon. For more details head to www.lincolndrumcentre.co.uk or www.yamaha.com/drums.